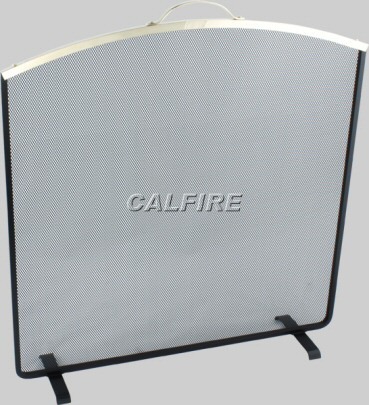 The Noble Arched Top is a heavy duty fire guard is made in Britian. The frame is made from strong black steel section with a Brass top and black powder coated mesh. The slight attractive arch provides a secure barrier to keep sparks from escaping from your fire.